Whether you come to make your first tandem skydive, or you’re showing up to make your 1,000th jump – you want the gear you’re using to be in the best condition possible. That’s why we at WNY Skydiving have several FAA-certified senior parachute riggers on staff to help with your rigging and gear maintenance needs. WNY Skydiving also has full canopy hanging and inspection facilities. 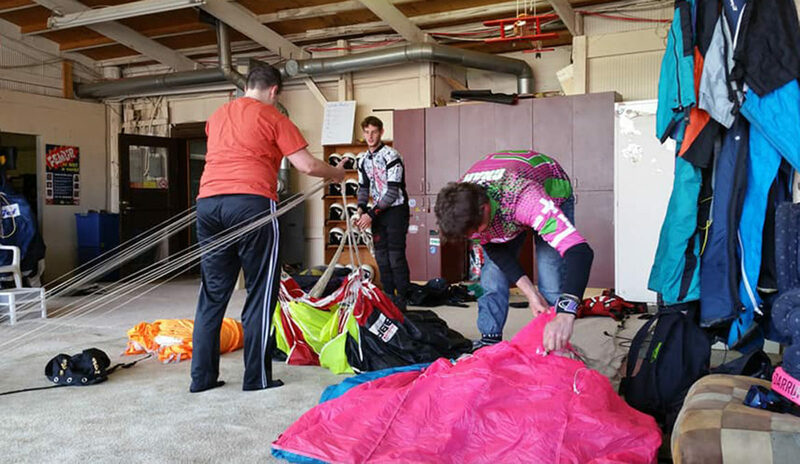 As a full-service skydiving training center, WNY Skydiving offers FAA Parachute Rigger training programs. For more information about either parachute rigging services or rigging training, please call us at 716-597-7393! Does Your Gear Need a Little TLC? Let Our Certified Parachute Riggers Take Care of It!